The importance of fertilizer in the fall is greater than you may think! People sometimes use the beginning of fall as an excuse to cut out caring for their lawn. Don’t be that person! You can use the fall season to your advantage. The weather can be inviting to your lawn’s development – some people might even say fall is one of the most important times for you add fertilizer to your lawn! This is when you, the Austin turf owner, need to bring your A-game! Even if you don’t see the grass growing on the top of your lawn, that doesn’t mean that the roots connected beneath are not growing! Those roots can and will grow in this season, provided you’re keeping your turf healthy. How do you do that? Your grass needs to reach a certain balance of chemicals that creates a proper growing environment. When the proper fertilizer is implemented, you’ll be getting your roots nice and strong to prepare for the coming weather. Phosphorus, found in fertilizer, is going to be just what your grass’ roots are craving. But wait, what exactly goes into fertilizer to make my Texas turf nice and strong? NPK is how you know what is in your fertilization material. It’s a number system. All fertilizer is going to have a set of numbers that equal N-P-K. That stands for nitrogen, phosphorus and potassium, in percentages. A fertilizer with 10-5-5 would have 10 percent nitrogen, 5 percent phosphorus and 5 percent potassium. Pretty simple! That will help you with any store-bought fertilizer for your fall lawn care. But don’t forget – we’re always happy to help you apply the best, custom-made fertilizer available that is perfectly suited for your southern lawn. Keep things healthy by following watering guideleins, general care and more. And, if all else fails, always consult Emerald Lawns! 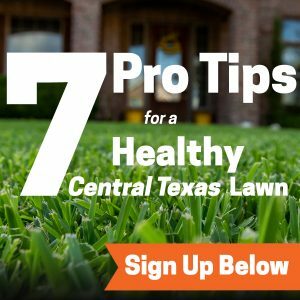 If you are not sure what you need to do with your lawn to keep it in shape, consult with a professional such as ourselves. If you know what to do and don’t have the time to do, have a professional manually handle all your lawn care specifics! Thanks for checking out our Emerald Lawns blog today! We’re glad to be able to share our passion of lawn care with fellow green-thumbs! On Facebook? As always, we like to invite our audience to head over to our official Facebook page and give us a like! We’ll keep you informed with up-to-the-date news on our service and blogs. We can be reached at 512.990.2199. You can also get in touch with us in our easy-to-fill-out contact form. If you think you have some tips on making it through this fall, let us know! We always like to hear about some of our customers’ preferences on fertilizer.